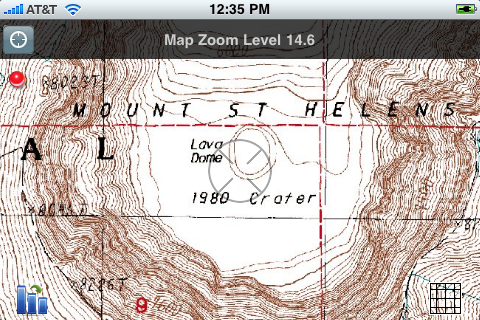 USGS Topographic maps on your iOS Device! 3.6 finally hit the AppStore today. We’ve migrated to a new server. Let us know if you experience any issues, but should be better. 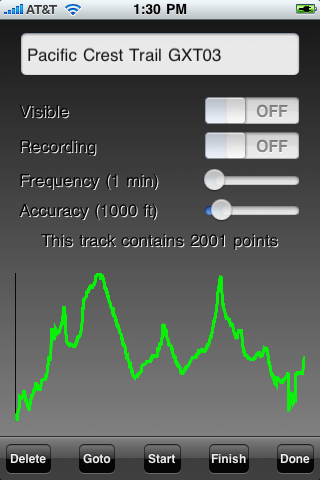 iTopoMaps 3.3 with a workaround for various keyboard/textfield issues in iOS4 is waiting for Apple’s approval. �Stay tuned! iTopoMaps 3.0 was released with full iPad support! 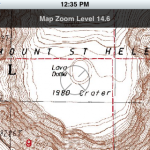 �Enjoy your USGS maps on a high res screen today! More to come on this exciting new platform, but for now you can plan your trips on the couch. 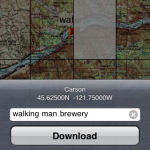 iTopoMaps 2.7 Released! Email track, quad, and waypoint import and more! Version 2.7 was released today! and then you can send .GPX files as attachments. 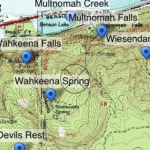 �Easily jump between USGS, Toporama, OpenCycleMap and OpenStreetMap! iTopoMaps 2.5 Released! 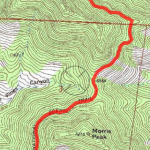 Improved USGS Map Quality! Version 2.5 was released today! Version 2.3 has finally hit the AppStore today!! 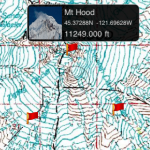 Waypoint popup views show the waypoint’s picture, coordinates, and elevation. 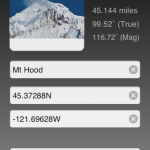 USGS and GNIS Databases are now only downloaded when they change, not with every app version. Thanks for all your support, and keep the suggestions coming! 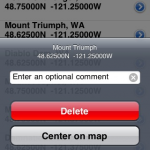 iTopoMaps v. 1.6 has hit the AppStore.� This version fixes a bug with waypoint import.